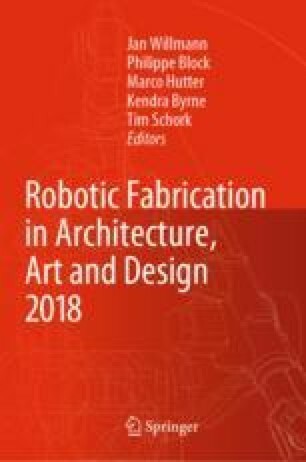 Inspecting robotically fabricated objects to detect and classify discrepancies between virtual target models and as-built realities is one of the challenges that faces robotic fabrication. Industrial-grade computer vision methods have been widely used to detect manufacturing flaws in mass production lines. However, in mass-customization, a versatile and robust method should be flexible enough to ignore construction tolerances while detecting specified flaws in varied parts. This study aims to leverage recent developments in machine learning and convolutional neural networks to improve the resiliency and accuracy of surface inspections in architectural robotics. Under a supervised learning scenario, the authors compared two approaches: (1) transfer learning on a general purpose Convolutional Neural Network (CNN) image classifier, and (2) design and train a CNN from scratch to detect and categorize flaws in a robotic plastering workflow. Both CNNs were combined with conventional search methods to improve the accuracy and efficiency of the system. A web-based graphical user interface and a real-time video projection method were also developed to facilitate user interactions and control over the workflow.